Thanksgiving is already upon us and this year will be my second time hosting at my place. The Brown Butter Pumpkin Cheesecake Cake and Apple pie have been baked and the turkey is currently roasting in the oven. Yum!! Not only do I love cooking and eating on Thanksgiving, it’s a good excuse to do some fun crafts! 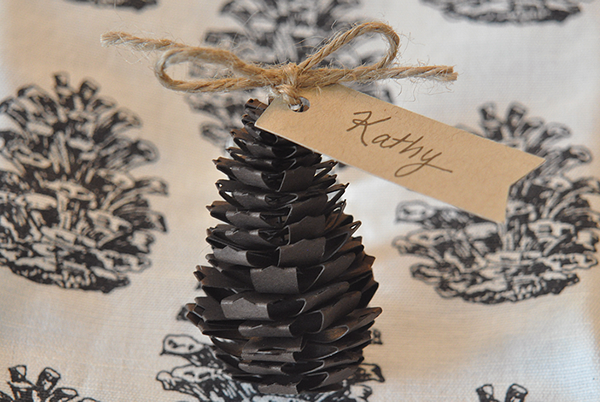 This year I didn’t go super crazy, but I did make some 3D pine cone place settings worthy of my new West Elm napkins. 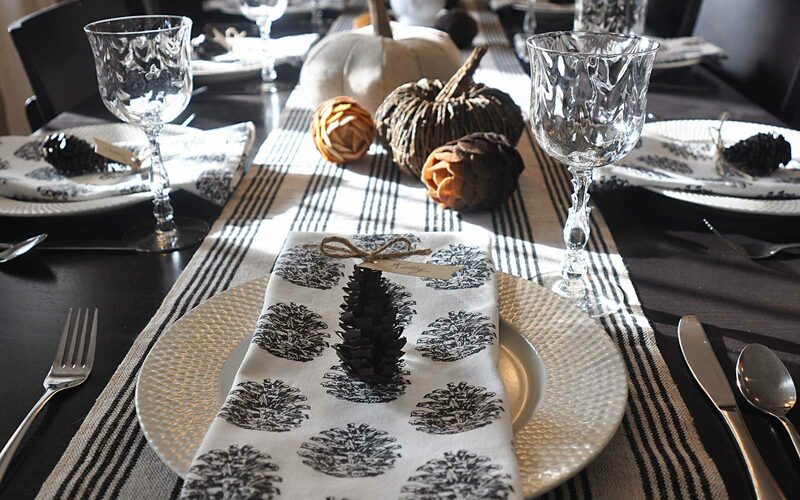 Well technically they are tea towels…but they sure double as napkins! Hope you all enjoy your Thanksgiving! Gobble gobble! Beautiful place settings, Kathy! Happy Thanksgiving!